We recently produced an ASCO Reception for a leading biopharmaceutical company. The focus of this event was to promote the company and give guests the opportunity to learn more about them and the important work they’ve been doing in the field of cancer therapy. During the reception, guests were given the opportunity to hear six different presentations by opinion leaders, clinical trial principal investigators, and members of the company’s team. These presentations were focused on the recent research the company has been doing on cancer-fighting care drugs. 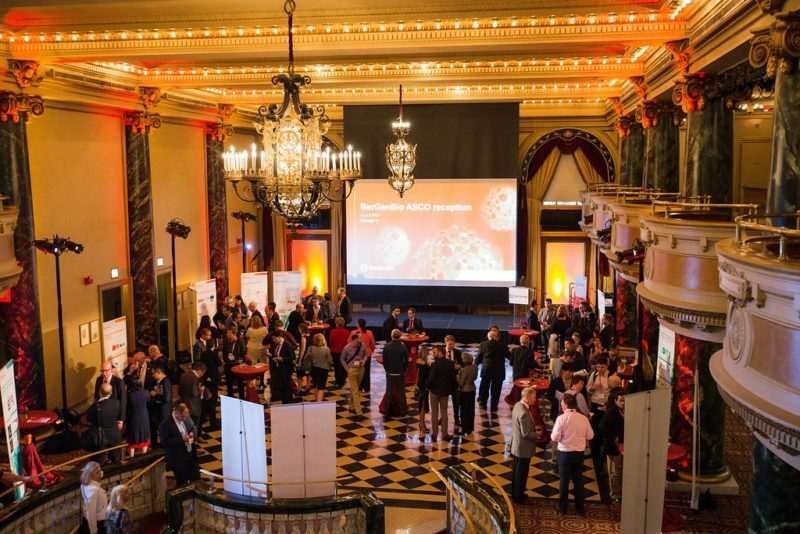 Held in the School of the Art Institute of Chicago’s Ballroom, the reception hosted 150 guests throughout the evening while they mingled, networked, and learned more about the company. A classical pianist provided background music and entertainment to set the tone and give the evening an elegant feel. The OTS team worked closely with the client to ensure the reception was exactly what they imagined. From focusing the decor around their primary color of red to assisting in creating various marketing materials and ensuring presentations went off without a hitch, we worked as their behind the scenes partner to bring their vision to life. On The Scene has experience producing hundreds of events like the one detailed above. If you’re planning a corporate event in Chicago and are looking for a Chicago event management company to handle the coordination, logistics, and overall production, contact On The Scene today. Our talented event professionals are ready to bring your next big event to life!